Physical therapy is an essential part of joint treatment. Following a great physical therapy program makes a huge difference to how people heal. In some cases, physical therapy can help you avoid surgery altogether. We seek to reduce pain using non-operative physical therapy in the first instance. We use surgical correction only when required. You are a unique, whole person with your own individual goals; you need a PT program designed just for you. We combine expert evaluation, hands-on care, and cutting-edge technology to speed your recovery and deliver it with kindness. We push you to achieve your goals safely and teach you what you need to know about body mechanics and the source of your injury to prevent it from happening again. 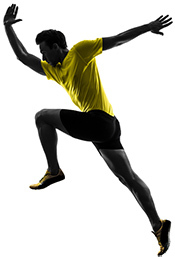 Full biomechanical and functional evaluations & medical and orthopedic history. The Stone Clinic rehabilitation protocols have been carefully developed by our physical therapy team and physicians. These protocols focus on the specific approach to rehabilitate patients who have had biologic procedures (using donor tissue to rebuild a joint) and robotic-assisted surgery.